A few weeks ago a Birth Mother sent me an emotional outpouring as a comment on one of my blog pieces ( you can read it here on the comments section). I sent a measured reply back because I do try and always consider other people's emotions and I can't even begin to imagine how difficult it must be to have your child removed from your care. These comments reminded me of a conversation I had in my car with a "friend" one day when she asked me if I knew that my children were "stolen" and how I felt about that. I was incredibly upset by her comment because I know the history of my children and I did give her quite an emotional response back. The issue of stolen children has been thrown at me many times now on Twitter and it hurts and it isn't true. All these different scenarios and conversations are becoming more and more common in the world of adoption and they can spark intense outpourings of emotion on all sides. Every person involved in an adoption has strong feelings at the situation. Birth parents are understandably angry and upset at the situation they find themselves in. They might blame the authorities who removed their child. They might not be able to or want to fully comprehend why their child was removed from them for a variety of reasons. I'm just going to say here that I'm not entering a debate on any scenarios when a child may have been removed in error. I'm sure that does happen but it is the exception and not the rule. Adoptees are often very emotionally and sometimes physically damaged because of the experiences they had both in utero and post birth that led to them being taken into care. 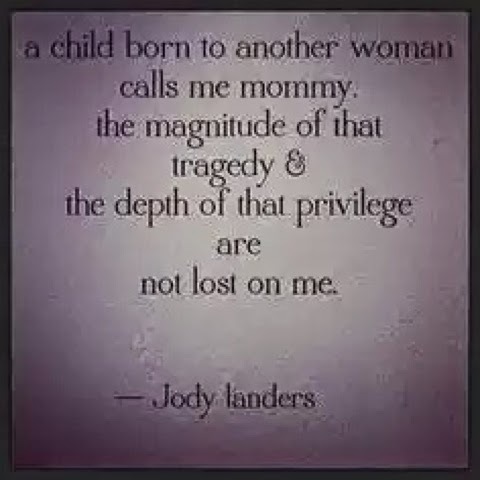 Adoptees may also spend their lives feeling a sense of loss because of the cutting of the connection to their birth family; a deep feeling of loss and rootlessness that they cannot pinpoint or fully understand. They might romanticise what their life might have been if they had remained with their birth family. They might feel a loss of identity at having a different surname and even first name. I can empathise with all those feelings and understand the need to explore those feelings and realities. I will also say that I used the word "may". Equally they may not. One experience is not the same for everyone. Everyone one of us has our own individual experience of life. Into that myriad of emotions we are now going to bring adoptive parents. It seems to me, as an adoptive parent. that we are the easy prey for everyone's emotions. It's easy to put all the blame on us because we have a face. Many of us write about our experiences here on the web, to share our experiences and form bonds with each other to support us through what can be very difficult times. Birth parents blame us for taking their children. Adoptees will throw the whole gambit of their emotional distress at their adoptive parents. As adoptive parents it is our job to help heal some of the wounds of our children. I will say "our" children because I love my children as much as I could if I had given birth to them. I will say "our" children because we are the ones who help our children make sense of their experiences whilst being kicked and punched and spat at because our children are often left unable to regulate their emotions because of the harm done to them in the womb and after birth. I will say "our" children because we are the ones who sit outside our child's bedroom for 2 hours every night whilst we support them to relearn how to soothe themselves back to sleep because they are unsettled again by a change in their lives or are afraid to sleep. I will say "our" children because it is our job to help our children to feel safe again and to be able to trust the world that surrounds us. I will say "our" children because it is us our children turn to when the world seems scary and they need a hug or they need someone to try and stop their world spinning out of control. I will say "our" children because it is us who have the difficult task of liaising with other parents when our children are struggling with their friendships because their anxieties lead them to want to control their relationships and other children might feel bullied. 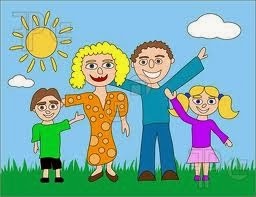 I will say "our" children because we do everything that a regular parent will do for their child and more. I could go on and on with this list but I'm actually starting to feel quite angry. I'm feeling angry because I'm getting fed up with being the target for other people who might see the world in more simplistic terms or who are simply reacting through their own rage. My daughter is beautiful and has many talents but she is also very challenging to parent. I spend my days working hard to be a therapeutic parent. To mop up her emotions and be the target for those emotions and offer containment whilst she rages against the world. Imagine the experience my daughter might have with someone who couldn't even stop drinking and smoking and taking drugs in order to keep her safe in the womb and after she was born. How would that person deal with the rages and aggression that Katie has to express her feelings? How would they deal with her emotional regression and the fact that emotionally she is only aged around 3 or 4 most days? Heavens only knows I get it wrong far too many times and I'm learning every day. That person has been unable to take care of herself let alone take care of a child. Would she be able to react therapeutically whilst she is committing armed robbery to feed her drug habits? My son is a typical toddler in many ways but he also gets very hyperactive when he's tired or overstimulated and he is a major pickle and sometimes quite destructive. How might someone who seems unable to take their of themselves nurture and channel that hyper stimulation whilst trying not to get cross because he has pulled all his books off the book shelf for the third time that day? I have a lot of sympathy for my children's birth parents and they will always be their birth parents. I do not seek to take that away from them. They are part of my children's life story. They have all been through experiences that nobody should have to go through and my children were born into an impossible situation, It breaks my heart to think of the bigger picture but my maternal instincts also say that if I can put aside all the emotional crap that I have going on in my life and head (and there has been a lot of crap) to put my children's needs first, why can't they? I have worked with young mums who have had equally awful childhoods who have been able to do just that and become good parents. So I will allow myself a little anger that my children weren't offered a better start where their needs were put first. Reading their Permanence Reports tears me to shreds for the things they experienced and the impact that that has had and will continue to have on their lives. All that aside though what is really bugging me is being told that I will never be my children's mother. I will never have grown them in my womb that is true, and we will always recognise the role of their birth mother, but believe me when I say I am every bit my children's mother for all the reasons that I have stated above. As someone who is a natural empath I have soaked up all the emotions flying about the internet and worried myself over it all. I've been anxious about the truth of my children's situation and questioned the validity of the story in their Permanence Reports. I have come to the following conclusion though. I love my children. My children will be put first and shown all the love that they deserve, I will not hold back anything from them because of a quiet voice that someone else has put in my head that says "you are not their mother" or "those children were stolen". I know better. I know what it says in their Permanence Reports. I know the truth. And yes, it is the truth so don't try and tell me that Social Services have lied to me. I know the truth from other sources as well. I will do everything in my power to help my children heal and grow and try and undo the damage done to them. I will not spend my life and theirs feeling that I have stolen someone else's child because my children need a mother. Their birth mother couldn't give them what they need. 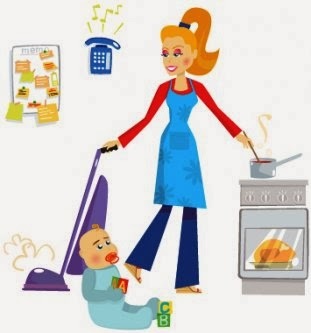 They need someone who can offer them all the love and practicalities that go with being a mother. Love isn't enough for an adopted child. They need far more than love. When they are ready I will let them go into the world knowing that I have their back. I will never prevent them being curious about their birth family or make them choose me over their birth parents. I will support any reunions if they are desired and pick up any pieces without any recourse. I have been through hell in my own birth family and I understand so much about the emotions of loss and rejection. I am also older and wiser. I know how strongly I felt about things in my teens and 20s and I know how much more mellow and understanding of the world I am in my 40s. I know that my own issues of rejection have never left me and that my job as a parent is to equip my children with the tools they will need to spend their lives fighting all those emotions that will impede their lives just as I have learned to do. I will support them as they decide on their identity, whatever that might be. That is what being a mum is all about. So don't try and tell me that I am not their mother. I am their mother in every sense of the word! If I didn't feel all those feelings then I wouldn't be a good mum to my children and I certainly wouldn't be able to fully commit to being their mum. If I didn't commit to being their mum with every fibre of my being then they are being doubly robbed. They deserve better. They deserved better the first time around but were let down. It's my job to try to pick up the pieces. The world of adoption is coming out of the shadows and is being scrutinised and the Internet gives a voice to everyone. We need to listen to all the voices and learn but to also understand that not everyone shares the same feelings. Not all birth parents feel the same and neither do adoptees or adopters. Those who feel the most strongly are the ones who shout the loudest and those who don't shout are often the ones who are either content or don't feel empowered to do so. The shouters are not necessarily representative of everyone at every stage in their journey. It's also important to remember that that time is a great healer. I understand so much more about my past now than I did in my 20s. I was far more militant about wrongs against me and able to solve all the world's problems in my 20s. I see the bigger picture now and whilst I don't condone what happened to me I do understand more of it and see the history in my story. I've learned to live better with feelings of loss around the family and experiences I experienced. It is only a part of my life story. It isn't all of me. It is important that voices are heard and respected but it is important to hear all the voices before forming a decision. It's also important to try and respect all sides of the story and not target the adoptive parents who are trying hard to undo the damage to the children in their care. Yes many of us may have come to adoption through infertility but that doesn't make our children any less loved or cherished and they are certainly not second place. I cannot imagine my life without my two wonderful little fire crackers and I'm only just learning now what it means to be their mum. I wish with all my heart though that they didn't need to be adopted; that the family they were born into was able to take care of them. I feel sad for the lives their birth parents endured and how life has shaped them but I won't put on my rose tinted glasses and absolve them from all responsibility. I can't imagine my life without them but I would wish that life had dealt them a better first hand. I wish that because I love them. It is a love that isn't selfish and it's a love that wants what's best for them even if that isn't always what I want. They deserve that I will endeavour to give them all that! I was incredulous when we went on our adoption training course that people actually still think we get to go down a row of cots and just pick a child that we like the look of as if it were some kind of pet shop! If anyone says to me "you are not my mum" (even if my own son says it) the comment doesn't even "penetrate". I KNOW I am "his mum" not on a "head knowledge" level but on a gut/heart/feeling level. He is a boy who has "two mums" one who gave birth to him and had him in her life for nearly 3 years and me who (God willing) will raise him into his adulthood. I would be happy to post or send you my articles Parenting The Adopted Child, Implicit Memory and Adoption, Understanding Adoptees. Send me an email Roberthafetz@verizon.net. I would be happy to help. The actual emotional developmental process experienced by adoptees is not widely known. Its crucial to building a secure attachment and to inspire healing in the child. I am in provate practice working exclusively with adoptees. I agree with FinallyaFamily, the angry statement "you are not my mum" goes over my head for a number of reasons. Firstly, depending how you look at it, it could be considered true. Secondly because I feel like his mum because I care so much about him, love him that from my perspective this angry statement changes nothing inside me. It is a very complex and difficult space to navigate at times and as long as we try to bring understanding of all sides, child, birth parents, me, which I know you do, I think you are doing a great job. And just to remind you. THEY ARE NOT "YOUR" CHILDREN! YOU ARE PART OF THE PROBLEM! They never ever will be yours! You will never look at them and see yourself in them, looks wise and personality, you will never fell that undying motherly love, real mummy love, because it ALL FAKE it is a UN natural setting. And will never be natural in any sense of the word. My baby boy is mine, mine and his daddy's, not some middle class infertile fucker that can't accept their childless hand in life! Robyn, sadly your anger blinds you to the bigger picture and no amount of calling me names will change the fact that parents out there are abusing their children. No mother or father who claims to love their child would abuse their child, yet we have a care system for that very reason so you do the maths on that whilst you're hurling out abuse at me. The middle class adopters that you are referring to is inaccurate. People from all backgrounds adopt and it is our job to attempt to put some of the pieces together for the children in our care. The love I feel is very deep and maternal so about as natural as you can get. I see my in my children all the time, in their mannerisms and in their looks. I do not seek to eradicate their history nor diminish the role of their birth parents. I'd say it's lucky there are people people like me who choose to adopt and are offering a chance of a good life to children who might just be forgotten in the care system or spend their lives at the hands of people who hurt them. The problem to which you refer starts before we come into the equation. It's not the fault of the children that their birth parents often put their needs before the needs of their children. Step away from your anger and imagine how you might feel if you were left in the care of people who neglected you or beat you or sexually abused you or stabbed cigarettes out on you or took drugs around you and then you tell me what the answer is. Believe when I say parenting an adopted child isn't simple. We have a lot of harm to attempt to undo and parent under great duress. I'm glad you love your child enough to spend your time hurling abuse at me but you need to understand that not everyone feels the same as you, not all adopted children hate their adoptive parents and some birth parents do everything in their power to change their lives. In fact research is starting to show that young adopted people who are reunited with their birth parents don't want to return to a family where they are still likely to be abused. Their fantasy is for parents who can love and take care of them in a safe way but sadly the reality is often as far removed from that as you can imagine so sadly all that birth love of which you write isn't sufficient for things to change. Put yourself in the place of that child and imagine how that feels for them. The children are the innocents in all this. They need to be protected. That's odd because I know people with both adopted and birth children in the same family and they state they feel exactly the same way about them. I'm also assuming your not aware that in the absence of "middle class infertile fuckers" children would still be taken into care, they'd just be raised in institutions. Considering how many children fail to find adoptive families, social services isn't going out "stealing" children because the "supply" of children whose parents cannot safely take care of them already far outstrips the "demand" of the "middle classes". Thank you for inputting. I, too, know people with both birth and adopted children who say the same. You make a very valid point about supply and demand. Someone once told me that Social Services had a quota of removed children to fill. My response was much the same as yours here. The maths just doesn't add up plus it's not cost effective to keep children in foster care compared to being with birth families therefore there must be a genuine reason these children are taken into care. Sadly it's an emotional situation all around and people do love conspiracy theories. Robyn as a mother to 3 adoptive children I find your comments very concerning. Whatever your experience of adoption may be, it obviously has filled you with distress. It would be really helpful for adopters to learn of your story so that we can understand your bitterness toward us. From my perspective all your comments are mis-informed because my children are my life. Thanks to my inability to conceive birth children, I had been given the opportunity to be a mummy to the three most extraordinary little children imaginable. They are the most precious gifts a mother could dream of, and they fill me with enormous pride and joy. Their tragic past, at happening to be born to people that could not fulfil their most basic needs, who abused and terrified them, who didn't feed them and keep them warm and clean, who if they had not been removed at the time they had may not have been alive today, is indeed shocking and unbelievable. The biggest tragedy in all of this though, is that their parents too had traumatic childhoods, they too were abused and unloved, and if they had had the chance of being adopted, their futures may have been different. My husband grew up in a children's home as a child, his mother was mentally unwell and could not manage the demands that motherhood had on her. Sadly, he was too old at the time to be considered for adoption, he never had someone to tuck him up in bed each night, soothe him when he was afraid of the dark, stroke his head when sick with a fever. I am from a single parent family, growing up on benefits and with very little. My husband and I work in a low paid industry that does not guarantee an income, we don't get sick pay, holiday pay, or a pension. But we do get to spend quality time with the children we cherish, our children. The fears and horrors from their past will never go away, but their future is stable is secure and is safe. They know how much we love them, we tell them frequently, and we know how blessed we are to be their parents. My children did not grow in my tummy, but they did grow inside my heart. Children deserve to be nurtured and loved - class and finances are irrelevant. Children need to be protected, and if that means removing them from a hostile and dangerous home, then it simply must be the case. There are many birth mothers that encounter hardships and difficulties parenting their children, but these mothers are not under threat of losing their children, if they are putting their child's needs before their own, why should they? We are so lucky that there is help and support to help us through the challenges of parenthood, I myself have gained so much insight into parenting my children by attending a parenting group. I do this, because I know I am not the "perfect" parent, I make mistakes all of the time - but I am trying hard to find more helpful ways to allow my children to have the best possible parents that they so deserve.